In a victory for activists, Nepalese temple authorities said they would end a centuries-old Hindu tradition of mass animal slaughter. 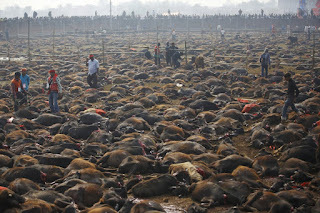 The festival, held once every five years, sees hordes of devotees from Nepal and India flock to a temple to sacrifice thousands of animals in the hope of appeasing the Hindu goddess of power, Gadhimai. “We have decided to completely stop the practice of animal sacrifice,'' said Motilal Prasad, secretary of the Gadhimai Temple Trust, which organizes the celebrations. “I realized that animals are so much like us – they have the same organs as us... and feel the same pain we do,'' Prasad told AFP. 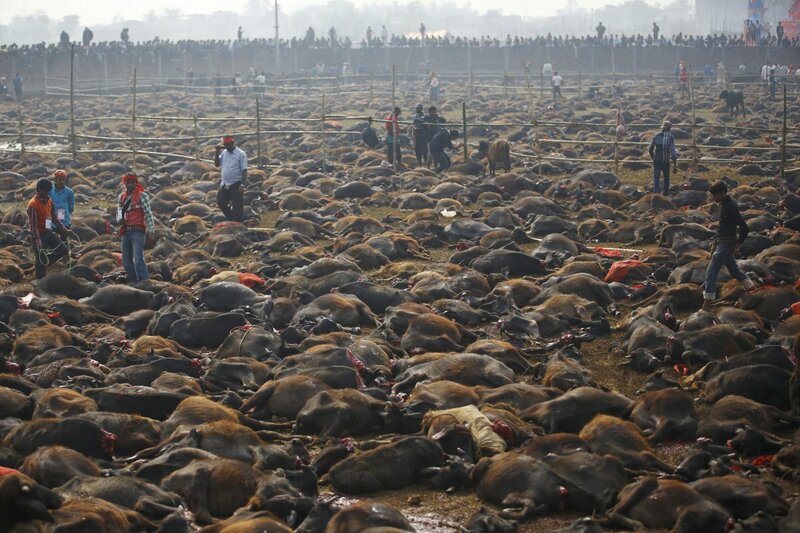 Some 2.5 million worshippers sacrificed an estimated 200,000 animals during the Gadhimai festival last November in the village of Bariyapur near the Indian border. “It has been a long effort... we took a firm stand and it has finally worked,'' said Manoj Gautam, president of Animal Nepal Welfare Network.